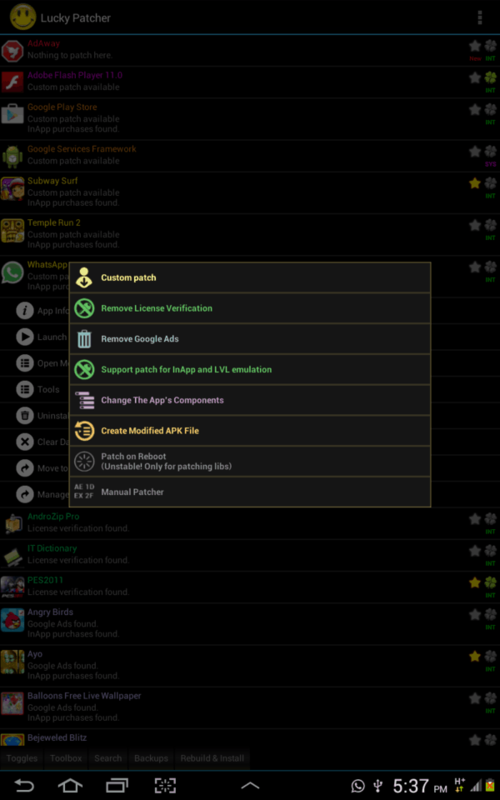 Lucky Patcher APK is the best app for blocking ads in Android games and/or apps, making games full offline version, stopping license verification & In-app purchases, improving battery life and many more tweaks. Believe me, this app is unrivaled and works extremely well on both low-end and high-end android devices as long as they are properly rooted (see how to root android with/without PC). 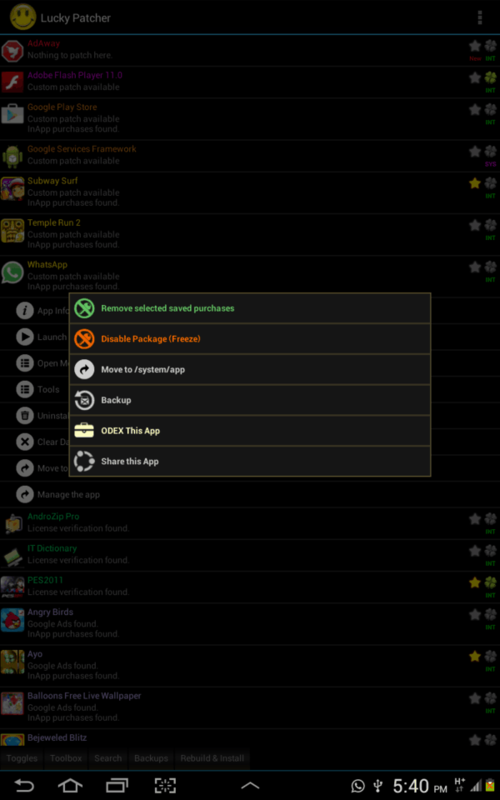 Lucky Patcher APK can do lots of tweaks on any rooted android phone and/or device. Some of the features are listed below for you to explore. 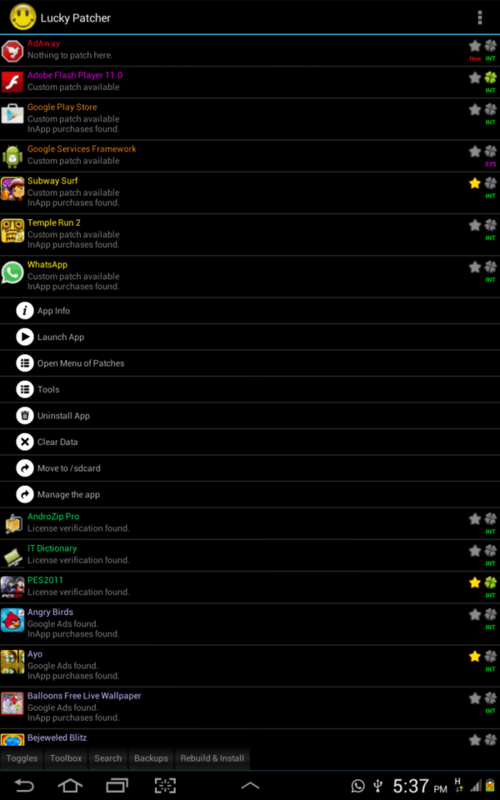 Lucky Patcher APK can be used to do the following actions for games and/or apps installed in a rooted android device. Lucky Patcher is not that new to me as I have taken my time to really explore this app in totality. It really improved my battery life as those ads-hungry apps such as Sybla TV, Real piano and several others no longer drain my battery life by making ads request in the background. This app has also served as my little Game cheat toolkit when trying to review games with little or no time to learn the moves. The removal of InApp purchases makes it easy to use all game features including “save me”, game enhancement and unlimited features when playing games. Custom patches for Adobe flash player to watch online movies and several other custom patches has been achieved so far with the lucky patcher app. Lucky Patcher is simply an android application that lets you remove ads, break different apps’ Android Market License Confirmation or other Confirmations for games and apps. It should be used by those who understands rooting and what it can do to a device when misused. Do not use for features you do not support! You can limit the use to just an “ads blocker app” – if you are a saint! Do have the APK currently install on your phone? If yes, select the game from the list and choose the patch option, select to remove ads and make full offline from there. How can i download The APK , the site ( http://luckypatcher.net/index.html ) doesn’t works for me :( please help. Thank u so much :). how can I run clash of clan offline without rooting is there anyway????? Can you make the cheerleader dance off squad a full version apk then send the apk to my gmail? What problem are you having with doing that from your device Khangar? Is it possible to turn the modified offline version back online? For most devices, it still works 100%, while some restricts its permission. So it’s best you try the app for your specific device to see how well it goes. Hi Obasi M., well I just wanted to ask if it’s possible for lucky patcher to make this game “Sims freeplay” a completely offline game. It only needs data access to log in and visit other neighborhoods. By the way my phone is already rooted. Hi Obagi, I just wanted to know if lucky patcher can make this game “Sims freeplay” an offline game. I just use data to log in and visit neighborhoods, I use a rooted phone but I’m afraid to try anything in case it damages the game or I loose all the files because I need to uninstall and reinstall the app. I found the latest version of Lucky Patcher APK from somewhere else, but my question is – which version is right for me, old or new?